A few posts back I mentioned how difficult it is to take a bad photo in Venice. Here is a proof of that. 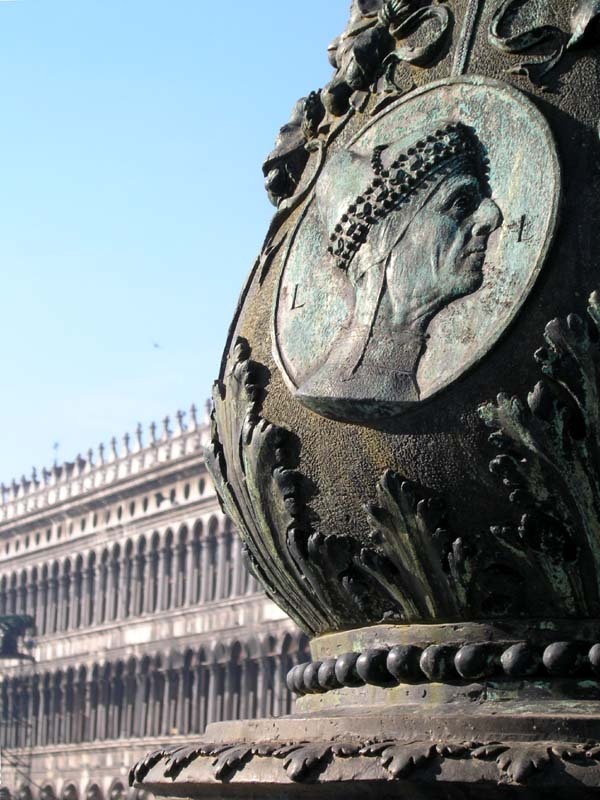 Even a detail of a lamp post on St Mark's Square can make a nice motive. watch out for the old muslim woman dressed in black in front of st marks. shes a tipoff for pickpockets. she comes to u asks for money and the pickpockets notice where you took your money out from. Did you the macdonalds there sends out crews with trash bags to pick up trash from restaurant? Did you walk on the bridge?